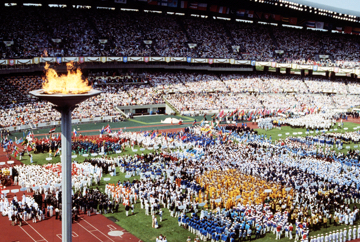 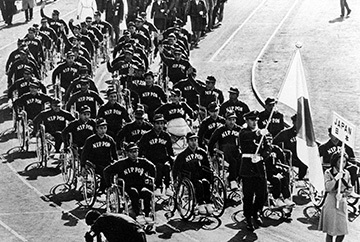 In 2020, the Olympic and Paralympic Games will come again to Tokyo, the first return of the Olympic flame in 56 years since the 1964 games. 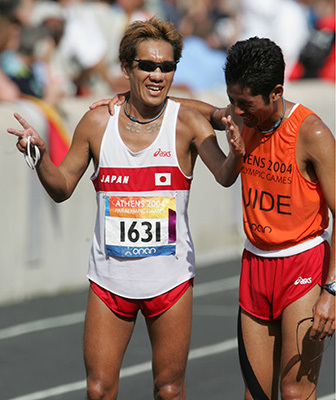 The fierce battles, the powerful performances, the joy, the sweat and the tears ―― there are as many stories as there are athletes on this stage of dreams. 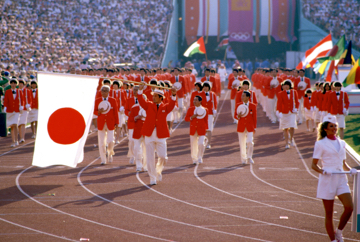 The Mainichi Shimbun has always brought the Olympics to its readers, and will continue to do so in the future. 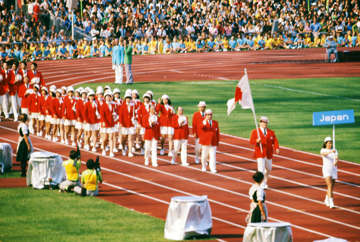 As we look toward the 2020 Games, the Mainichi Shimbun is prepared to pass along the drama and the unity. 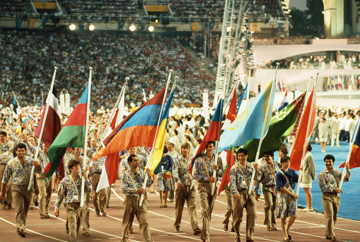 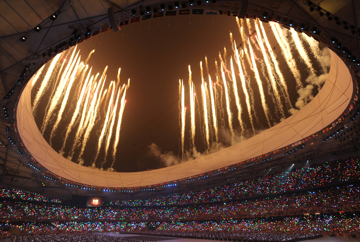 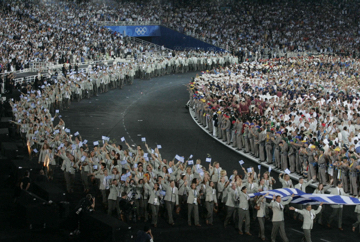 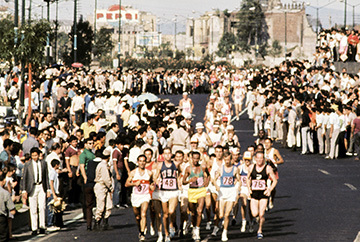 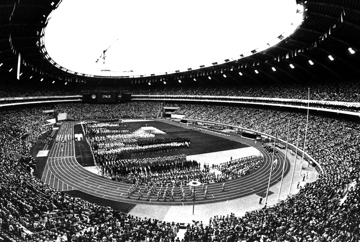 The first Asia-held Olympics. 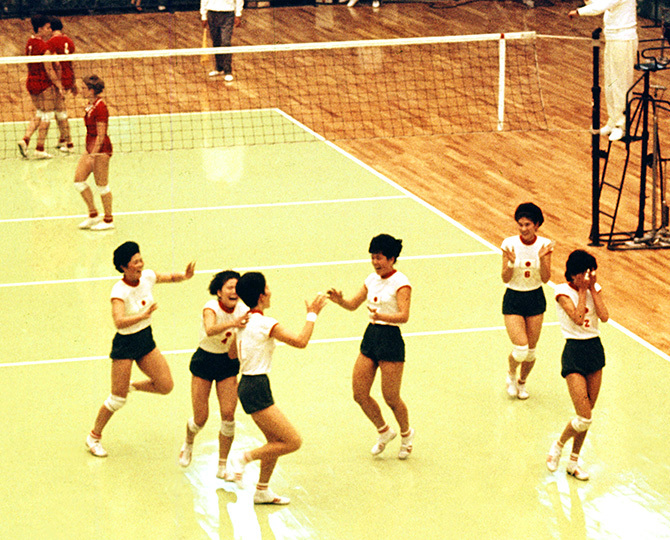 The Japan women's volleyball team shows its power in front of an enthusiastic crowd. 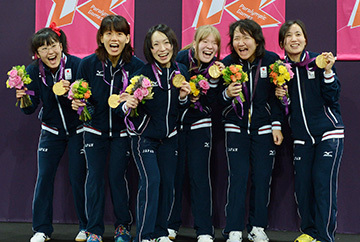 Kunishige Kamamoto shines as top goal scorer as Japan takes the bronze in soccer. 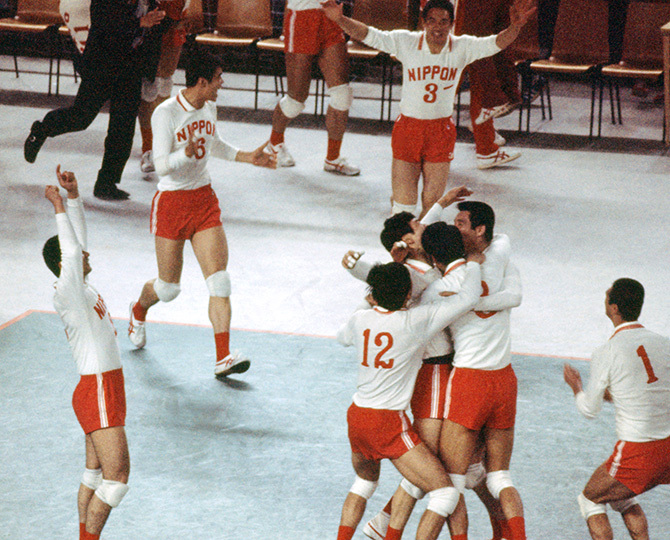 The Japan men's volleyball team wins its first gold medal. 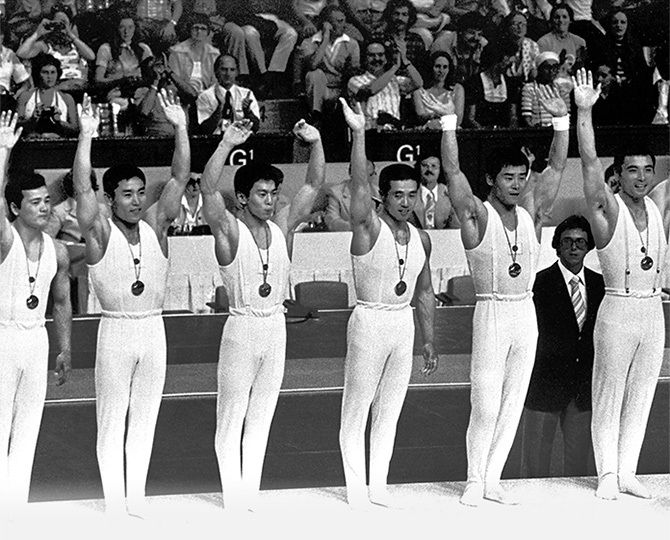 The Japan men's gymnastics team wins its fifth all-around gold in a row. 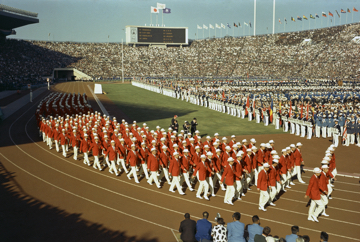 Japan, the United States and others are absent due to the Cold War. 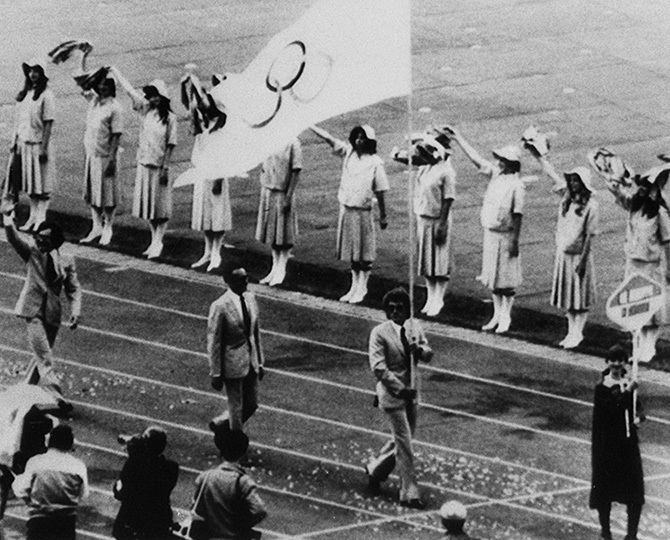 The white fairy-like Nadia Comaneci takes two gold medals. 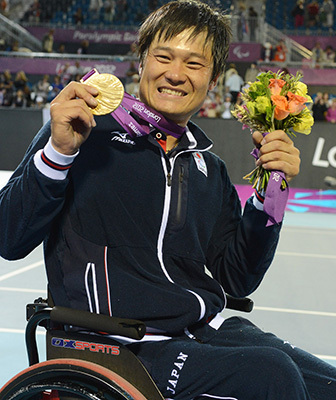 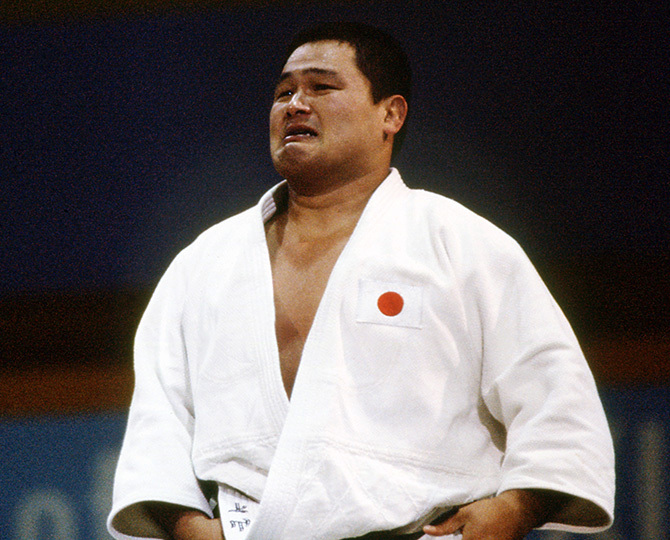 The unparalleled Yasuhiro Yamashita takes gold in judo, in a tearful fulfillment of his dream. 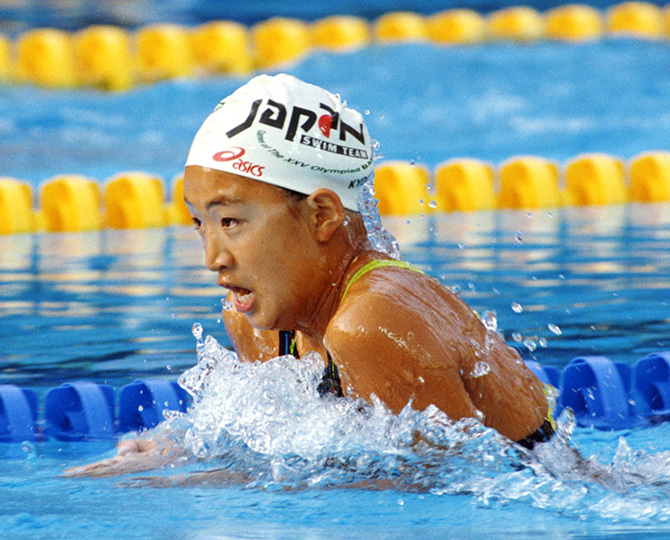 Swimmer Daichi Suzuki takes gold with his amazing "Vassallo-style" stroke. 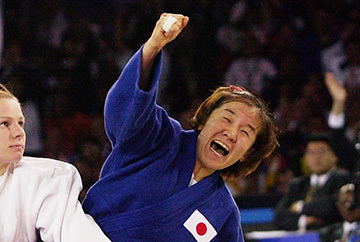 14-year-old Kyoko Iwasaki becomes Japan's youngest-ever gold medalist. 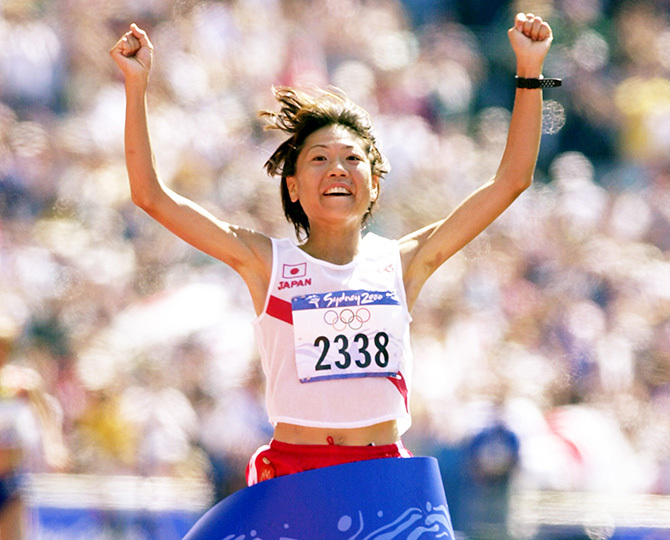 Yuko Arimori takes her second Olympic marathon medal in a row. 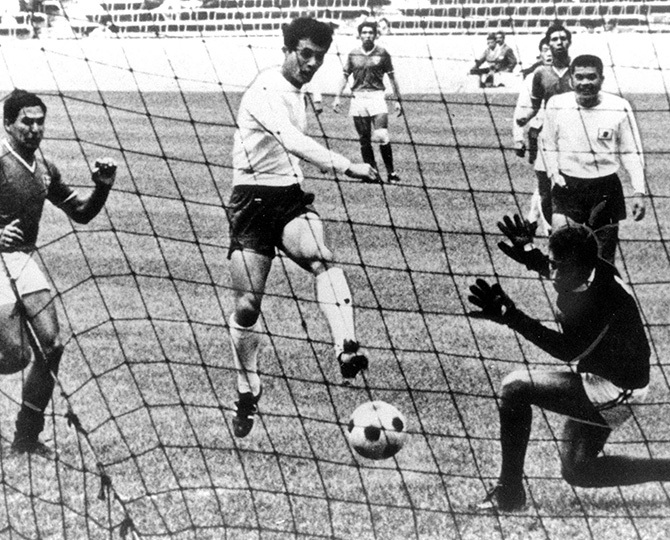 Japan's men's soccer team beats Brazil. 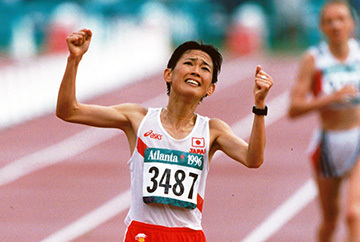 Naoko Takahashi wins Japan's first gold medal in the women's marathon. 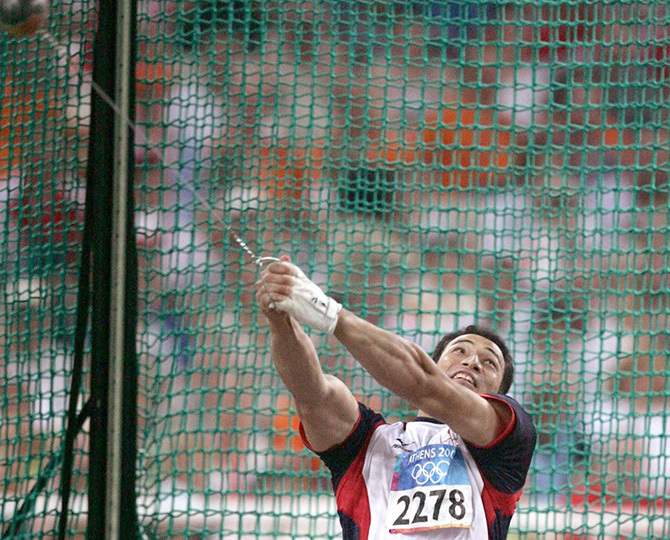 Koji Murofushi, with his powerful yell, takes gold in the hammer throw. 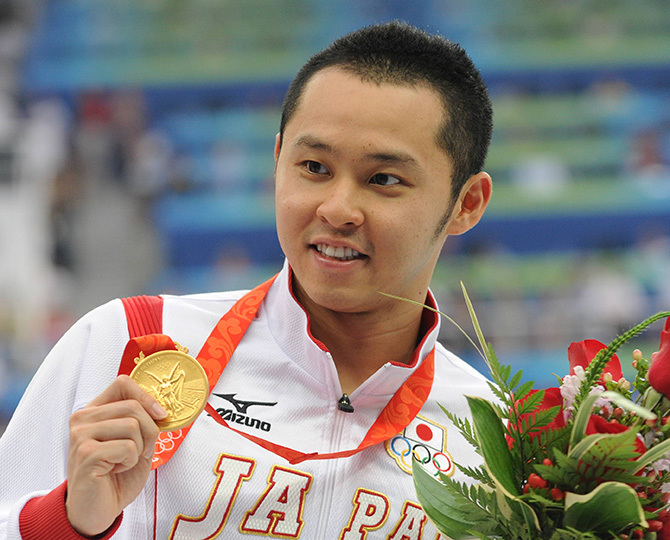 Swimmer Kosuke Kitajima stands out from the pack to take two gold medals in a row. 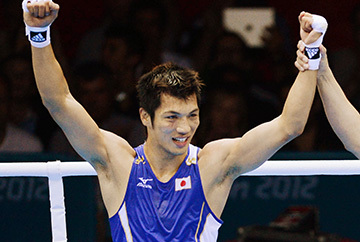 Ryota Murata takes gold in boxing. 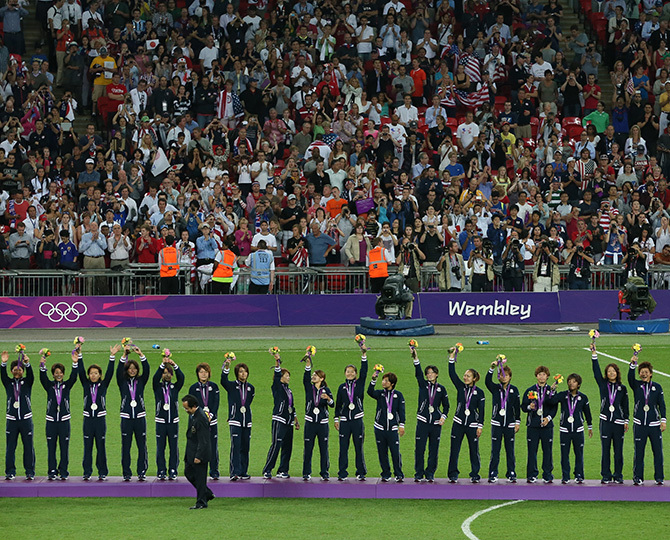 The Japan women's soccer team takes silver. 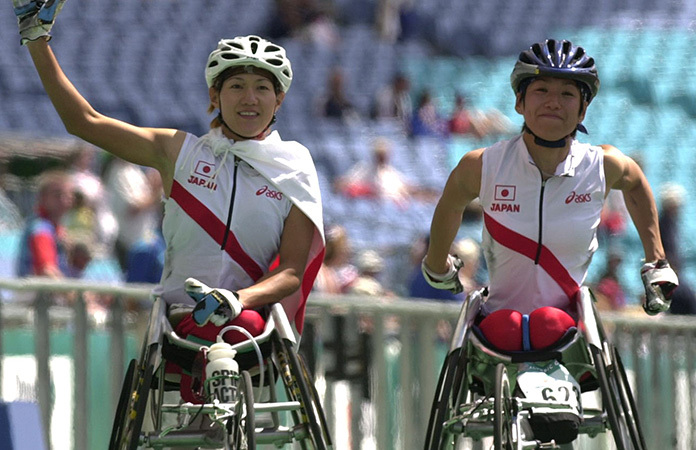 Athletes overcome their handicaps to challenge their limits.